We are living in a data saturated world, which presents a range of challenges and exciting possibilities for human rights lawyers and activists. The age of computers, the internet, and smart phones has created an unprecedented number of information sensing devices, generating lots of data about their users. Examples of such data include shopping habits, individual location and movements, political opinions, internet searches, friend networks, social media use, and even health information. The science being used to analyse big data presents a break from traditional data analysis. We can now collect far more data than could be collected manually, and, together with automation processes, this means that we can process large amounts of data quickly. We can find trends and correlations that would otherwise be difficult to study manually. There are lots of ways this kind of data can and is being put to use in human rights contexts. Big data can help us find and learn about people we are trying to help, especially if they might otherwise be hard to access, and it can also tell us what kinds of problems they face. In relation to humanitarian crises, it can help track and respond to the spread of diseases such as Ebola. It is being used in a US project to help fight against human trafficking and modern slavery, using data analytics to monitor and identify exploitation and trafficking in global supply chains, and potential victims of trafficking through social media. Data science can also improve transparency and accountability in criminal justice processes by analyzing how data is used for predictive policing and assessing the impacts algorithm design. It can also assist in designing Sustainable Development Goal indicators, as advocated for by the UN in its recent ‘Getting Started’ guide. The growth of such projects around the world holds much promise for advancing and securing human rights. However, there are significant obstacles to making the most of the opportunities presented by big data. First, there is currently a skills shortage in the field of human rights when it comes to statistical and data analysis. 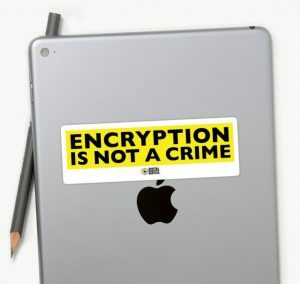 This is starting to improve, and human rights lawyers should undertake to improve their literacy in big data.Hackathons and cryptoparties, for example, are ways for human rights advocates, technology, and data analysts to intersect informally. There are also professional platforms in the science and technology fields that warrant greater participation from human rights practitioners generally, outside the ranks of the usual contributors from digital rights activism. Second, many potentially useful big data sets are controlled by private actors or government, and are not publicly accessible. In response, some advocate ‘data philanthropy:’ creating a culture of donating data sets for public purpose uses. Yet data mining is a hugely profitable industry, and too much of the commons in the cyber world is claimed by corporations. How is it that data generated by everyday people and collected often without their knowledge ends up being owned and profitably exploited by private companies? We generate our data and its value derives from its relationship to us, and we should have a say over how it is used. Third, it can be challenging to work out how to use this data responsibly and with respect for privacy rights. There are serious concerns about our ability to anonymize data, and the extent to which this is ever really possible. At present, many citizens do not have enough information to adequately assess privacy risks and risk mitigation. Perhaps part of the ambivalence stems from the fact that many human rights lawyers understand and rightly advocate against mass surveillance and unnecessary data retention. We have seen big data used in troubling ways, for example, when the FBI data mined grocery store records in a misguided attempt to identify terrorists. But human rights advocates’ sensitivity towards privacy rights and commitment to accountable data management ought to be understood as an invaluable grounding from which to commit to these debates more fully. Our work in this space must be consistent with respect for human rights generally, and human rights practitioners are well placed to apply their skills to current digital society dilemmas. In my work as a human rights lawyer, I have found advocates to have incredibly different knowledge levels about big data, its effective uses, and human rights risks. Yet it is critical that human rights voices be heard loudly in this field, and that more human rights advocates integrate big data into their work. We need to explore the best ways to do so consistently with privacy rights and the values of a free and open digital society.